FAERIE'S DANCE Hemp Clothing is All Grown Up. 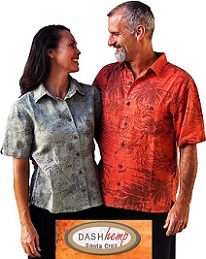 Stylish, Sophisticated Fashions Along with Organic Cotton, Soy and Bamboo. 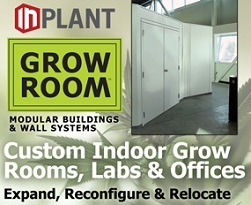 INPLANT GROW ROOMS Grow Room Enclosures, Processing Rooms, Modular Building Systems are Customized for Commercial Farming-Cultivation Facility. KASPER ORGANICS Made in USA Hemp! Belts, Beanies and Lotsa Wallets. Nice Colors. Very Hip Eco-Gifts. MITCHELL'S MEDICINALS Full-Spectrum Hemp-Derived CBD Extract is Non-Psychotropic, Non-GMO, Ethanol Extracted, Free of Solvents. ORGANIC DOGS AND CATS Quality, Clean, Eco Organic Pet Products, One Convenient Shopping Experience. Best Source, Best Choices, Lowest Prices. 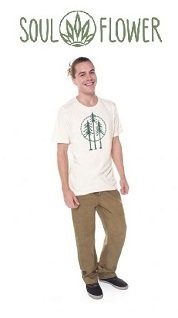 SOUL FLOWER Natural, Breathable, Durable Hemp Clothing like Hemp Pants and Hemp Accessories including Hemp Bags. World Health Organization study declares that CBD is safe and not addictive. New York Times - Why is CBD Everywhere? 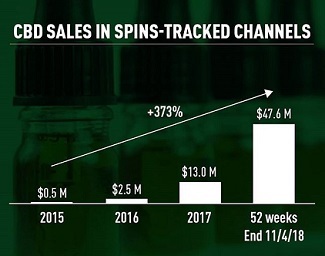 The CBD market is slated to explode from an estimated $275 million in 2018 to $725 million by 2020 according to Natural Foods Merchandiser. Cannabis was banned in the year 1937, till then it was the 3rd most frequently prescribed medicine. In 2018, the World Health Organization (WHO) claimed that pure CBD had no health risks. Work to help eliminate fat. Several follow up studies have shown CBD usage is associated with smaller waist circumference And much, much more! Is industrial hemp the same as marijuana? No. Even though they are both Cannabis sativa L., Industrial hemp is the non-psychoactive, low-THC, oilseed and fiber varieties of the Cannabis sativa plant. Hemp has absolutely no use as a recreational drug. Hemp fiber has been used thousands of years, materials made from hemp were discovered in tombs dating back to 8,000 BC. 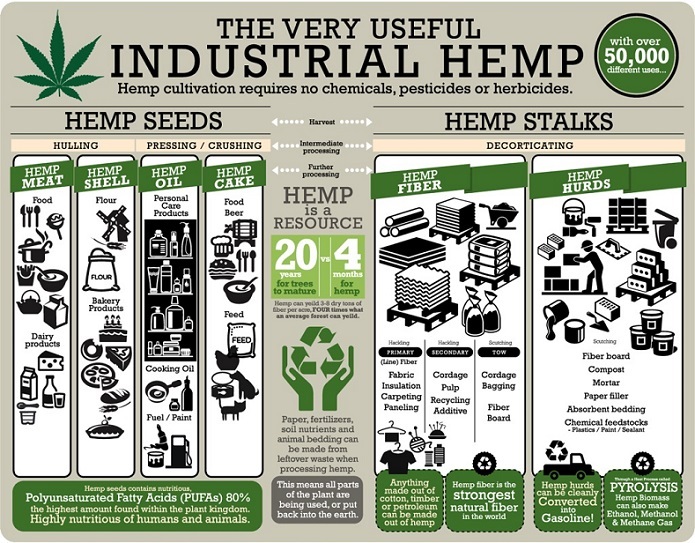 Hemp is an alternative crop that can be farmed with little or no chemicals and is a sustainable natural resource. Hemp is better than cotton that depletes the soil of nutrients, hemp can be grown consecutively for 20 years without affecting the soil. Hemp saves water! Hemp uses only 1/20th the amount of water as cotton to grow and process. Hemp has four times the strength of cotton. In 1938, the magazine Popular Mechanics called hemp the “New Billion Dollar Crop” because researchers had discovered that hemp could be used to manufactory over 25,000 different kinds of products. What did the Gutenberg bible, Christopher Columbus' ropes and sails, the Declaration of Independence and the first American flag have in common? 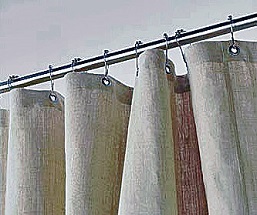 They were all made from hemp, a crop so versatile it can be used to make cloth, paper, even food. Hemp Fact: 80% of all textiles, fabrics, clothes, linen, drapes, bed sheets, etc., were made from hemp until the 1820s, with the introduction of cotton gin, All schoolbooks were made from hemp or flax paper until the 1880s. *These statements have not been evaluated by the Food and Drug Administration. Products are not intended to diagnose, treat, cure, or prevent any disease. EcoMall.com advertisers products are to be used for only lawful purposes and the responsibility of the purchaser to know and abide by all laws pertaining to the use of their product. EcoMall.com will not be held liable for any unlawful State, Federal or International activity arising out of the post-sale use of the products and by purchasing advertisers products, the purchaser is agreeing to these terms & conditions. To prevent products from being classified as drugs under Section 201(g) of the Federal Food, Drug and Cosmetic Act, we are required to inform you that there is no intention, implied or otherwise that represents or infers that these products or statements be used in the cure, diagnosis, mitigation, treatment, or prevention of any disease. We strongly advise that for medical issues you consult a physician. The statements made regarding these products have not been evaluated by the Food and Drug Administration. The efficacy of these products has not been confirmed by FDA-approved research. These products are not intended to diagnose, treat, cure or prevent any disease. All information presented here is not meant as a substitute for or alternative to information from health care practitioners. Please consult your health care professional about potential interactions or other possible complications before using any product. The Federal Food, Drug and Cosmetic Act requires this notice.